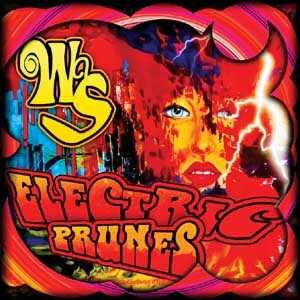 Electric Prunes invite you to join them on their new sonic excursion... WaS. That WaS the Electric Prunes! It has been a long journey here and we have waited till the planetary alignment was correct for a new release. The lunar eclipse signaled the start of something, though no one is sure exactly what? We offer WaS as the saucer to fast forward you to the cosmic finish. There is a fine line between "IS " and "WAS". If what you did is more important than what you are doing, you WAS. One moment you is and then you was. Somehow 1967 doesn't seem much different from today; tastes change but we think people are always on the lookout for some fresh ideas from the "is" that makes them remember the "was". So take a ride with us as you listen to our new album, with a bit of the unreleased, a bit of the new, and as always, a fully Electric sonic journey 'round the universe through time and space, with WaS. Place your order today!